The Bormolini family look after this gem of a hotel. The Francescato is actually a lovingly converted and finished barn that has been decked out with their own handmade furnishings. It may only be a bed and breakfast, but their breakfast comes highly recommended with fresh coffee, scrumptious pastries, and homemade jams first thing in the morning - not to be missed! The hotel is just 70 metres from the slopes too, which makes it possible to ski straight back to the property for most of the season. When you get there, you can relax in the bar and catch up with a bit of TV, or head to the cosy reading corner for some quiet time. On top of all that, guests have free use of the washing machine and dryer. It's easy to see why so many guests return year after year. The 13 rooms here are bright, cheerful and perfect for two to four people. The twin or double rooms have cable TV, a mini-safe and a lovely en-suite with a shower and hairdryer. Some of the rooms can also take a third bed suitable for a child if that is needed. And if you're travelling with your family, you may want to ask about the two family rooms that are available - they sleep up to four adults. Bed and breakfast is the order of the day at the Garni Francescato. They have a delightful continental breakfast buffet in the mornings - it's particularly popular with fresh coffee, delicious pastries, and homemade jams (and there's a cooked breakfast option, just ask if you're interested). When it comes to dinner, you can pre-book a meal at the nearby and very popular Il Cenacolo restaurant. We update Hotel Garni Francescato's details often, but facilities do change. e.g. some extras listed by the supplier as "free" or included might only be for the first time you use them, or for one time per party, then charged for further use. If any specific feature is essential to your holiday, make sure you ask us to confirm the details of it before you book your holiday. Livigno’s fast climbing the ladder of Europe’s favourite resorts... and rightly so. We love the snow sure skiing, world class terrain parks and tax-free pricetag of après and shopping, not to mention the mountain charm you’d expect from a resort rubbing shoulders with St Moritz and the delectable food you’d expect anywhere in Italy. Livigno lift pass price last reported as 215€ (adult 6 days). 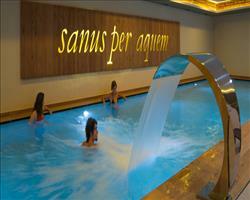 Ask for a quote when booking Hotel Garni Francescato. Livigno has NWE facing slopes. Hotel Intermonti Livigno Italy, Dover Ferry 21st March. Hotel St. Michael Livigno Italy, Dover Ferry 14th December. 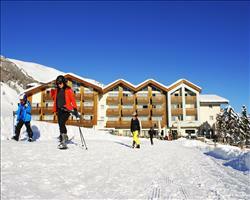 Hotel Lac Salin Livigno Italy, Dover Ferry 14th December. Hotel Amerikan Livigno Italy, Dover Ferry 21st March. Hotel Livigno Livigno Italy, Dover Ferry 21st March. Hotel Alaska Livigno Italy, Dover Ferry 28th March. Awesome holiday! It’s a small family owned hotel and we were a big group and took up pretty much every spot in the hotel. It’s very centrally located, about fifty yards from the ski rental. Livigno doesn’t have a central lift station – the resort is one long road and there are loads of lifts up and down the valley. The hotel is within walking distance from the nursery slopes but to get to the other lifts you just get the bus, which is really easy. Taxis are also really cheap as there’s a flat 4 Euro rate for the whole valley. Inside is clean and basic but homely and in terms of comfort it’s good. I was in a double en-suite and there were a few twins and I think a triple. There’s a basement with lockers where you can store all your stuff and it also has its own lift. The food was basic and we ended up eating out for lunch and dinner every day as there are really affordable restaurants close by – all Italian including a nice little pizza shop. It was a pleasant surprise how mindblowingly cheap eating in Livigno out was!